So, you’re in pretty good shape and take part in plenty of different cardio workouts and sports. But as much as you’re doing out there, you feel like you’ve been in a sort of fitness plateau for a while. A change is definitely in order, although it seems unreasonable to suggest more intense training that might keep you away from the activities you enjoy most. Here are some tips from personal trainer Mike Duffy on how you can rework your approach to activities like jogging and biking so that you get more out of them. Playing pickup games and casual league games with the guys, without much practice or focus on improving in between games. You knock down a jumper from time to time and generally pull your own weight, but you’re more Brian Scalabrine than Kobe. Tailor your general workout program to help you improve your game, and stay on the court a little while longer to work on specific skills and stamina. Low impact cardiovascular exercise like swimming and cycling are great for cross-training, giving your joints a good rest from getting worn down on the court. “Add in plyometric training such as jumping rope, box jumps, squat jumps and lunge jumps for power,” Duffy says. He also recommends timed mini-games to improve skills and endurance, like seeing how many three-pointers you can make in five minutes (get a partner to rebound for you). Well, if you’re already hitting the gym and the court, might as well put in the extra effort to step that game up. The increased stamina, improved shooting and those higher, more explosive jumps should make a big difference in helping you make an impact on those pickup games. Just getting out there is the main thing. Distance and time don’t matter as long as you’re getting a chance to decompress and breathe some fresh air. You’re already doing it – a little focus and drive will just make you better at it. And the more into it you are, the less of a chore it will become. 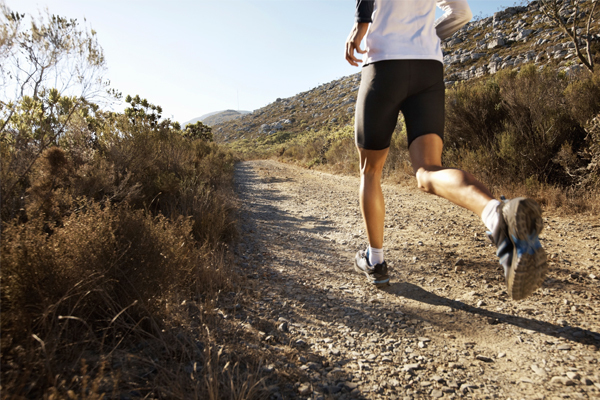 A light jog will make you feel exhilarated, not making you gasp for breath. 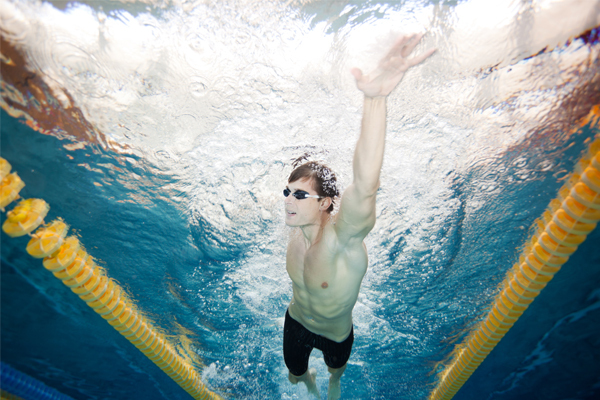 Getting a few laps as an addition to other exercises in your regular routine. It’s a great activity to work all the muscles in the body while going easy on the joints. Time and number of laps aren’t of huge concern – it’s just as long as you’re getting in the pool. According to Duffy, a generally foolproof approach to improving your swimming, for those with little to no experience in competitive swimming, is to do a sprint as fast as you can for one lap and then immediately do another one to three more laps. After this, rest and repeat. As you move forward, increase the number of sprint laps, and as your stamina continues to build up, you can cut down on that rest period as well. Of course, other cardio activities and strength training are also suggested to maximize your results. Well, it’s still a few more years before you’re old enough to settle for some water aerobics. Until then, try to channel your inner Phelps… as much as possible anyway. Going out for a ride over the weekends, whenever possible. When you do, you just go where the road takes you and decide when to return based on how much daylight is left, and how tired you’ve gotten. Keeping a consistently strong pace is unimportant or impossible (i.e. city biking) depending on the circumstances. Like in a lot of cardio-based sports, interval training is key. “I would do hill intervals and sprint intervals,” Duffy says. “One or two days a week, I would find a challenging hill and cycle up and down it six to ten times.” Go up as fast as you can and glide down. Strength training exercises like box jumps, lunge jumps and jumping rope are all great for leg endurance and power. It feels great to go that fast, and to strengthen your legs in the process. 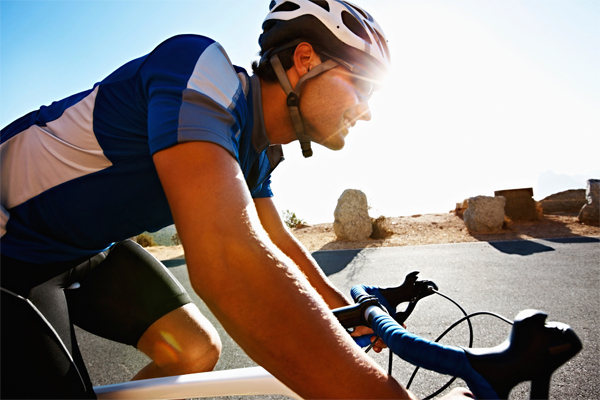 Having better stamina will also mean that leisurely bike rides will be, well, very leisurely. Playing in pickup and/or relatively casual league games. 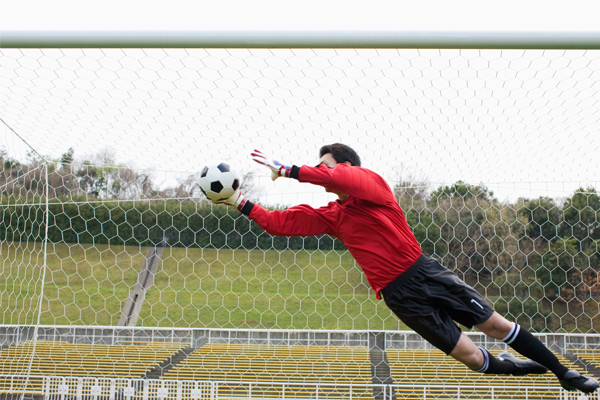 You spend the game going for glory, only really giving your all when you have a chance to get a goal or an assist. Unless, you’re a defenseman, then it’d be the other way around. Regardless, you’ve got some brief bursts of energy coinciding with long periods of rest. All you need is that extra step on your defender to beat him and get the ball in the back of the net. And if you play pickup, chances are those other guys get out there way more often than you do. This is your most efficient way to give yourself a shot.